THE NEW SOLUTIONS FOR VINEYARDS, ORCHARDS AND ANTI-HAIL PLANTS. 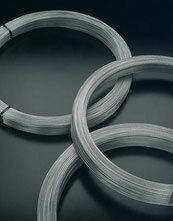 Accessories for Vineyards is able to supply Zinc-Aluminium Wires 10% elongation. AgroWire is the new Wire studied specific for those heavy mechanical processes in the Vineyards and Orchards (kiwi, apple).AgroWire 10% is a special wire made by an high component of zinc (95 %) and alluminium (5%) which allows un excellent tensile strength to the corrosion and a specific protection agains cuts and abrasions. - Extremely able to support external attacks by corrosion also where are present cuts and abrasions. - High tensile strength during spraying time against fertilizers and chemical substances. - It does not change over the years and able to keep its original features after 50 years! 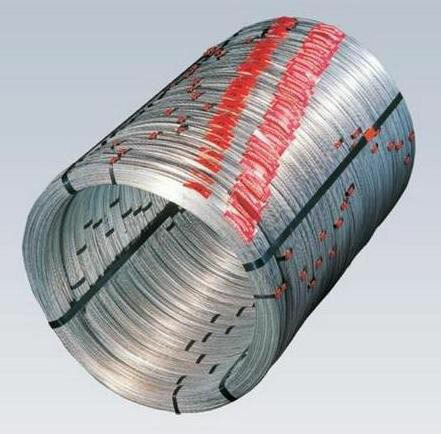 - Compared to a normal galvanized wire and at the same breaking loads, Agrowire 10% can be purchased in smaller diameters reducing fixed costs in Vineyard/Orchard Planting. 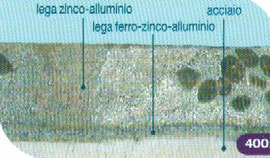 to the wire coating in a zinc (95%) and aluminium (5%) alloy.